Our products include Treehouses, Wooden Playhouses, Kids Slides, Garden Swings & Swing Sets. All products are designed to enhance any environment, urban or rural, with safety in mind but with child appeal foremost. 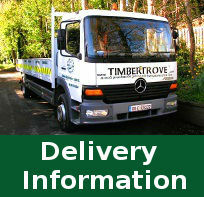 Timbertrove have a vast experience of working in timber in conjunction with other materials. In recent years we have drawn upon this experience to design & construct playgrounds of the highest of standards. We have been commissioned by Dublin Zoo, Fota Wildlife Park, Bunratty Castle, Mayo Council, to name but a few. We can meet your needs both in the domestic and commercial markets. Please call our sales team on 01-493-1034 for further information on our playgrounds & children's play products.